That delicious-looking dessert may not be safe for someone with severe food allergies. Holiday baking time is upon us once again and that's OK with me, for the most part. 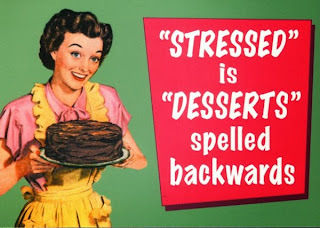 As readers of this blog know, I am no stranger to baking, so bring it on! But first, let's talk about baking for food-allergic people when you are not dealing with food allergies in your home. As I always do at this time of year, I've received several questions from friends and relatives of allergic people who would like to make a safe and nut-free baked creation, or who have been called upon to do so for the purposes of a holiday meal. Talk to the allergic person's family (or to them directly, if they are old enough). They may not feel comfortable serving any baked goods not produced in their own nut-free (or dairy-free, or egg-free, etc.) kitchen. So, please ask them. They'll be happy to talk to you and grateful for your interest, I can almost guarantee. If you are a household who uses a lot of whatever the allergic person is allergic to, cross-contact, also known as cross-contamination, can occur. I know -- cross-contamination. Gross. That term sounds like we think you don't have a clean kitchen. Rest assured, the problem is not cleanliness, but rather the entire process of baking to make something safe for allergies is completely different from what you are probably used to. The kitchens of people dealing with life-threatening food allergies are often free from the allergen completely, and that's to avoid the possibility of a trace amount of this allergen getting into the food. If not free from the allergen, we are keeping everything separate and even using different utensils, pans, cleaning gear -- the list is nearly endless. This is something that may have taken us months or years to learn how to do properly so I for one don't expect others to "get" it immediately. Sadly, cross-contact with allergens can happen easily--too easily. The environment in which food is prepared is just as important as ingredients. So is the placement of the items once baked. Take a "nut-free" cookie baked in a "nut-free" facility and then put it on a bakery display next to hazelnut cake and peanut butter cups. Now the "nut-free" cookie is unsafe due to possible cross-contact. Bake a plain vanilla cake in a small kitchen that just produced a peanut butter cupcake. The plain vanilla cake may be harboring peanut matter and is not "safe" for those with a nut allergy. Cross-contact is the reason for food labels that say "may contain peanuts." It’s the reason for companies choosing to create and label foods "made in a nut-free facility." Cross-contact presents a real risk and ought not to be downplayed. I've heard Chef Ming Tsai talk about his food allergy-friendly restaurant Blue Ginger and how he tells his chefs to treat any food allergens like they are "raw chicken." When dealing with raw chicken you change cutting boards and utensils and wash your hands frequently or risk salmonella. I think the Raw Chicken Analogy is as good as any I've ever heard. After all, everyone accepts that raw chicken can contaminate otherwise safe foods. The same goes for allergens--one slip up, the allergen is in the food and it is no longer safe for an allergic person to eat. And you -- or they -- might not even know it's in the food. 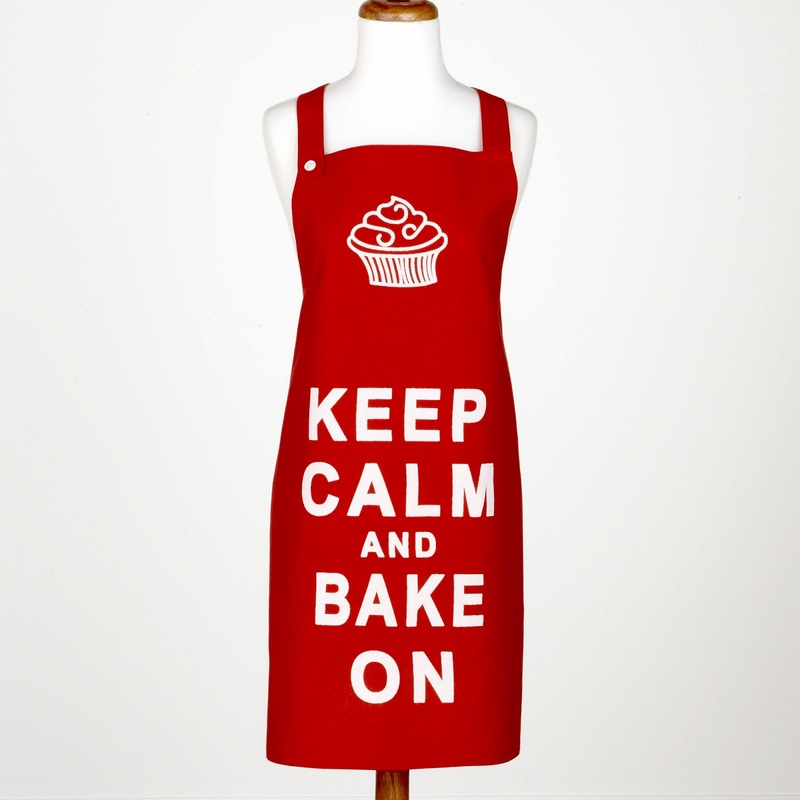 Can You Bake Safely for a Severely Allergic Person? Obviously, this is a very individual answer and you will have to evaluate your personal situation. In general, though, this is not something you can do on the spur of the moment if you have a kitchen containing a lot of a particular food allergen. A "wash-down" may not do the trick. It helps to think of food labels when you evaluate whether or not you want to take on "nut-free" baking in a kitchen that uses nut ingredients. You've probably seen a food label that says "processed on equipment that also manufacturers peanuts and tree nuts." People with severe nut allergies are advised by their doctors to avoid foods that are labeled this way, in order to avoid trace amounts of an allergen. If you use peanut butter and other nut products like tree nuts, then your kitchen products would be labeled: "Processed on equipment that also processes peanuts and tree nuts." Companies label this way even if they do wash their equipment -- because human error is always a factor. Allergic people need to avoid these types of items from store bought foods, so of course the same holds true for homemade. An exception would be that you are a close friend or family member of the allergic person, you are very used to dealing with it and your other family members are on board with keeping the kitchen area pristine during the process. This is not to say that you can't teach people how to bake and cook allergen-free, but it does take some planning, preparation and understanding of food allergens. If you want to do this and you are not that aware of how to go about it, I suggest talking to the person familiar with the allergy and going over the process with them, step by step. For example, I know that many of us have family who have learned to bake nut-free an cross-contact -free, so kudos to them. Due to necessity, I trust very few individuals to produce nut-free food and that's not because I don't honor their good intentions, but rather, it's an issue of cross-contact risk. If people refuse to eat something you've prepared for allergy reasons or to serve it to an allergic person, please don't take it personally. It's not about you, it's about health and staying out of harm's way. My e-book speaks to the issue of cross-contact and kitchen safety with regard to nut allergies, if you're interested in learning more. Maybe, to be able to guarantee your child a safe treat, you prefer to handle the baking. I've got several links for you to help you find some good ingredients and methods. Plus, check my Pinterest boards. I've been adding to the nut-free recipes under "Thanksgiving Foods", "Christmas Sweets (Nut-Free)" and "Holidays and Food Allergies." Plus, I just have a ton of recipes on my boards in general, so check them out. You can go directly to my Pinterest page by clicking on the "Pinterest button" to the right of this post. You can also find recipes on this blog by using the "search" tool in the upper right hand side of the blog. Use key word "recipe" to see what I've got posted here. Please note: for any ingredients mentioned here, please ALWAYS check the labels. This is what I do, and I do stay on top of this as best I can, but things can change. Always check the label and if you want more information, call the company. What you use should always be up to your specific allergies (I deal with peanut/tree nut only) and your own comfort level. Thanks! Info about Libby's canned pumpkin and Carnation Milk (two seasonal favorites). The Nut-Free Home Baker (this article features some of my favorite baking resources). Hi Jenny - do you know of any nut-free sugar cookies in the Chicagoland area? School parties always want to decorate cookies but can never find any pre-made nut-free cookies plain to decorate. jewel carries nut-free mini cupcakes and mariano's carries Nutphree's larger cupcakes but no luck on plain sugar cookies! One year saw some at Target but haven't seen them this year. Thanks. Also FYI - Lizzie's Bakeshop in Chicago has some yummy nut-free goodies but not convenient for us and not the plain cookies - but when we are in the city we try to stop by. Speak to your child's teacher about a non-edible craft. You shouldn't have to search high and low for prepared unfrosted nut-free cookies, especially when there is no guarantee that's what others will be bringing in to the classroom. Ideally, you have a written plan with your school that outlines what is allowed in the classroom regarding food. A fun idea would be for kids to do a holiday craft--for ex., our school limits the food crafts in favor of a simple art project and kids seem to really enjoy it and then they have a keepsake. FYI--Lizzie's Bakeshop went out of business for the time being-but fortunately, we have Nutphree's! My favorite. www.nutphrees.com. They are amazing. Happy Holidays! Oh no - hopefully they will find a new location soon. That location was actually not too noticeable. I wish our school would go food-free!! And Nutphrees is only cupcakes - do you know if they will branch out to other products? Call Nutphree's -- they now offer layer cakes and I think they sometimes now have cookies. It doesn't list it on their website but follow them on Facebook and they will show more products. You can always bake your own, too if you have no other option. But don't give up on working with your school to have some alternatives to food as an art project--there are so many other options! Hi Jenny! I was just wondering if you have done any research on Almond Bark or Chocolate melting squares that are peanut free. I've used Gurley's in the past with no problem, but I see on their website that they sell nuts as well, so I'm not sure about that one. I think I've also used the Plymouth Pantry brand with no problems. I love your blog and wanted to get you opinion. Thanks! Hi Jenny! I was just wondering if you had any ideas for peanut free Almond Bark or chocolate squares used for melting/dipping. I have used Gurley's in the past with no problems, but see that they also sell nuts, so not sure about that one. We've also used Plymouth Pantry brand in the past. I love reading your blog and wanted to get your opinion. Thanks! Thanks for the nice words about my blog! I suggest calling the company. I do not use anything with the word "almond" in the name, because of almond allergies. I know that almond bark is really a candy-making substance, but I just stay away from it. If a candy company is processing nuts as well, I would definitely want to question that--could be a cross-contact issue and by law that does not have to be listed on the label. Good luck and let us know what they say. And Happy Holiday baking!! In terms of chocolate squares for melting/dipping, Baker's Chocolate brand makes dipping chocolate and I've used their baking squares for years. Always read the labels--they will mark for cross-contact. I think the only warning I've seen is for milk/soy. Vermont Nut-Free Chocolate www.vermontnutfree.com also makes baking chocolate in a dedicated, nut-free facility but you have to order it online. I can confirm that Nutphree's does do cookies....chocolate chip and sugar cookies in small or medium sizes. I was able to get some plain sugar cookies for my son to decorate in his preschool class (and they bought safe sprinkles and icing as well). They don't often have the larger cookies out in the storefront, but you can call and order them. Another back-up for this would be Enjoy Life's sugar cookies (the large hard ones). They aren't always easy to find at stores, but they'd work perfectly for that kind of project. Although I do agree with Jenny - I would prefer non-food activities! 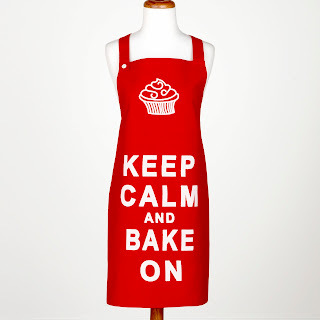 Do you have any idea where I can buy that apron? !